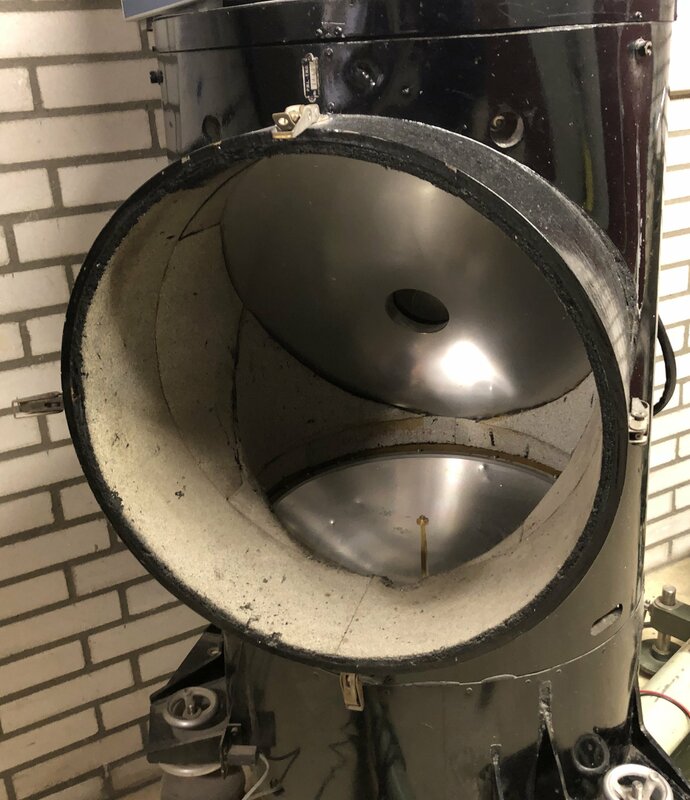 In 1980, the TNO Prince Maurits Laboratory (PML) asked LEOK to develop a measuring system to measure the speed of small bullets and shards with cross-sections of 3 to 20 mm and speeds between 50 and 2500 m/s over the first 20 meters of their flight. These measurements must take place in a tunnel with a diameter of 2.25 meters with the firing track height at 720 mm above ground level. With the previously used photobeam system, these new requirements could not be realised. The solution chosen was to use a Continuous Wave (CW) Doppler homodyne radar. This consists of a generator that feeds the antenna via a circulator. The signal emitted by the antenna is partially reflected by the passing bullet and is fed to the mixer via the antenna and the circulator. Another part of the generator signal is supplied to the mixer. The Doppler signal is obtained by mixing both signals. The transceiver operates at a frequency of 24 GHz, has a transmit power of 69 mW and a detector sensitivity of -90 dBm. 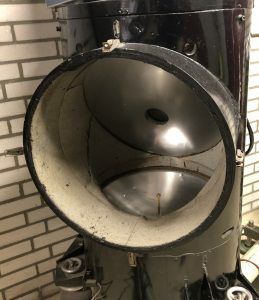 To prevent the used parabolic antenna from being hit by the fired bullets, a periscope set-up has been chosen. 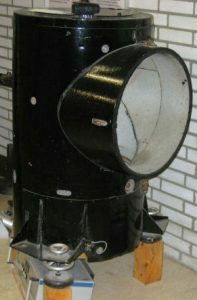 The reflector, which is placed in the firing path, is provided with a hole in the centre. This solved this problem. The measuring system consists of a measuring section and a processing part. An electronic counter measures the time a bullet needs to pass a distance of five half wavelengths (about 3.25 cm). During the time that the projectile (ball) travels the next five half wavelengths, the content of the counter is stored in the Random Access Memory (RAM), and the counter is reset to zero. The result can be visualised on an oscilloscope as speed variation along the length of the flight. The meter readings can also be sent to punch tape for computer processing and analysis afterwards.